Years of production: 1934 - 1943. 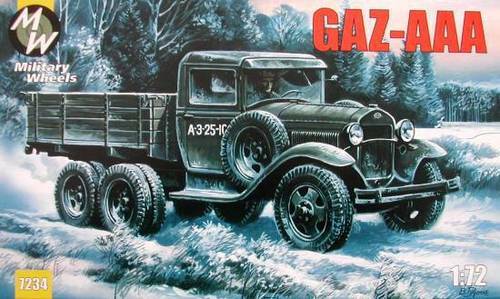 6x4 2-ton GAZ-AA based 3-axle truck. Fuel tank capacity: 60+40 Ltr. pre-1942 trucks. Later cabs had wooden doors.